You know, right? All those towels ready for wash, in the wash, drying, hanging up? 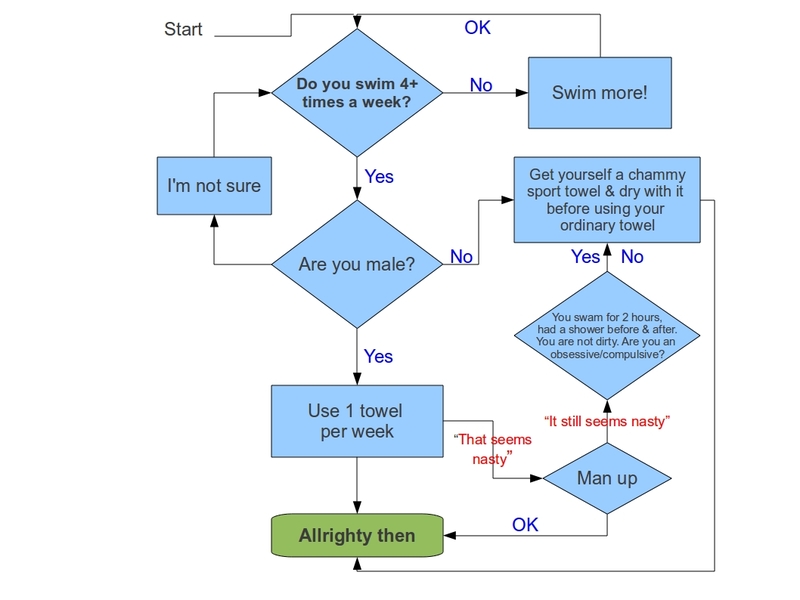 I thought I’d sort it for you so I wrote this flowchart. I also found it funny. Have you forgotten my origins? You’re mostly Irish, just unwilling to acknowledge it.